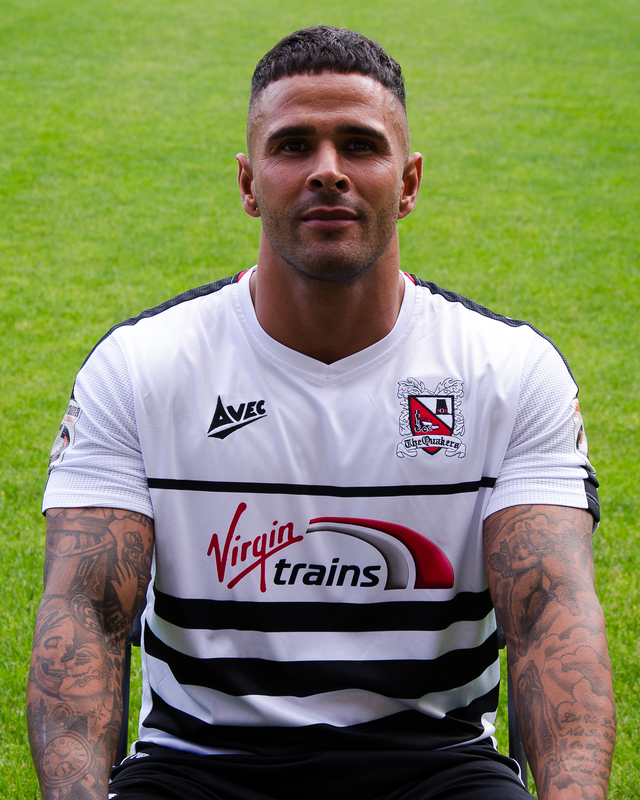 Darlington manager Tommy Wright has announced that he is releasing Leon Scott and Greg Mills. 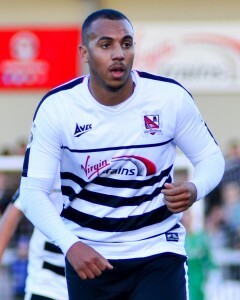 Leon was one of Martin Gray’s first signings when we were forcibly demoted to the Northern League in 2012, and since then, he has won a Northern League championship winner’s medal in 2013, an EvoStik League winner’s medal in 2015, and an EvoStik play off winner’s medal in 2016 – a terrific record. There are many who feel that Leon would have won an EvoStik League First Division North play off winner’s medal a year earlier, if he hadn’t been injured by an early tackle in the play-off semi-final against Ramsbottom in 2014, a game which we subsequently lost. In all, he has made 222 league and cup appearances for us, scoring 20 times. He has played in a variety of positions for us, and once had a rich vein of goalscoring form in the Northern League, scoring eight times in nine matches. One of his other goals was a very important one, on that famous night when we came back from 2-1 down to beat Salford 3-2 in the EvoStik League, and he was also on target on another memorable night, the 7-1 away win at Whitby. 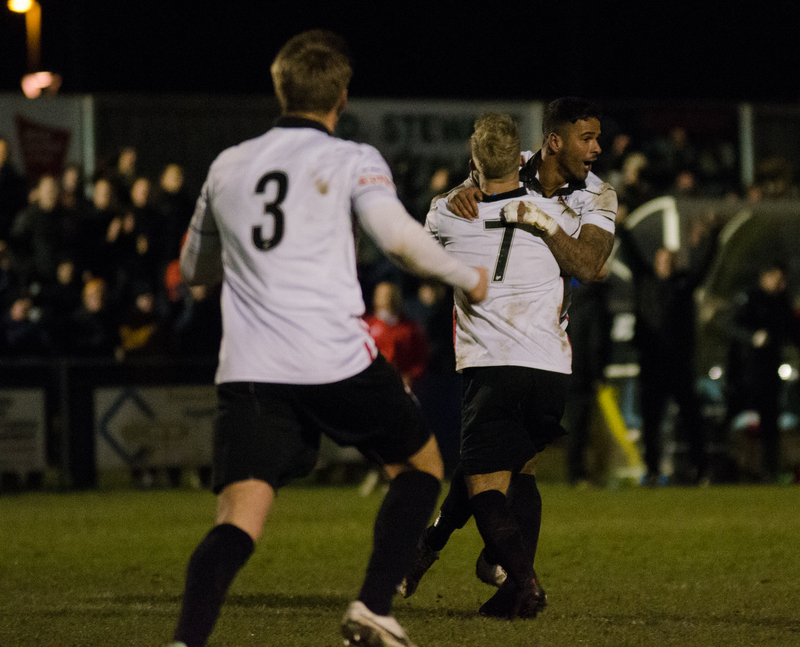 In a programme interview soon after he made his 200th appearance last season, Leon remembered that dramatic goal against Salford at Heritage Park which brought us level with just minutes remaining. “I think that was the most important goal I’ve ever scored. We were 2-1 down late in the game, and we had a long throw on the left from Gary Brown. “Martin told me to push up to the edge of the box, so I did. The ball came over from Gary, one of their lads headed it out towards me, and so I decided to hit the ball before the bounce with my left foot. I stretched as much as possible to get it, I caught the ball just right, and it hit the back of the net. He also had great memories of the Northern League title win. The Northern League championship win in 2013 was another memorable moment, culminating in the wild celebrations after the games against Guisborough and Team Northumbria at Heritage Park. “Winning the league that season, considering that we didn’t have a team nearly a year before, was massive. 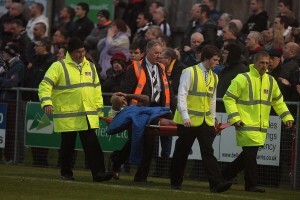 It was my first ever experience at Darlo of winning something, and in some ways it all went in a bit of a flash. Everyone at DFC would like to wish Leon all the best in the future. Striker Greg Mills joined us in in November from Nuneaton, and has made 16 appearances for us, scoring once. Also released are youngsters Dale Milburn and Lee Hume. We would also like to wish them all the best gin their future careers.